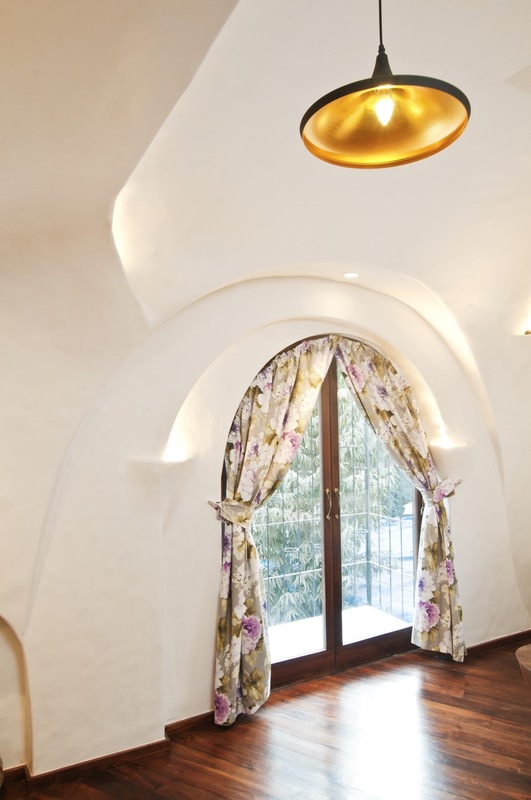 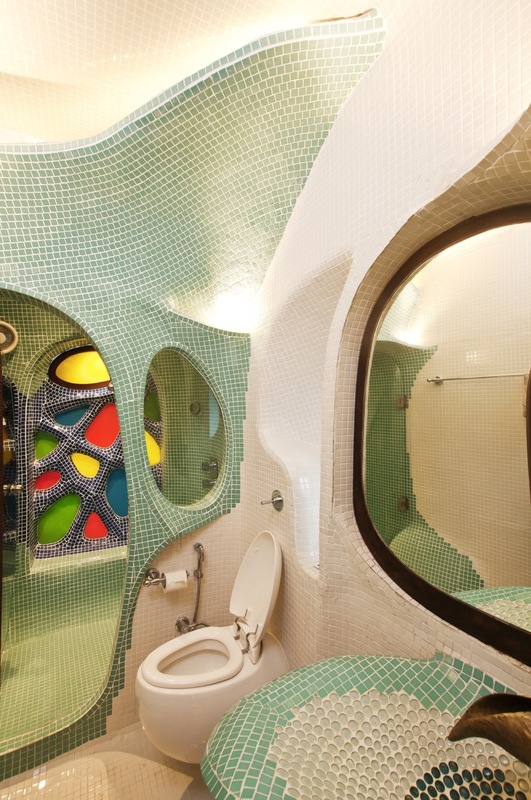 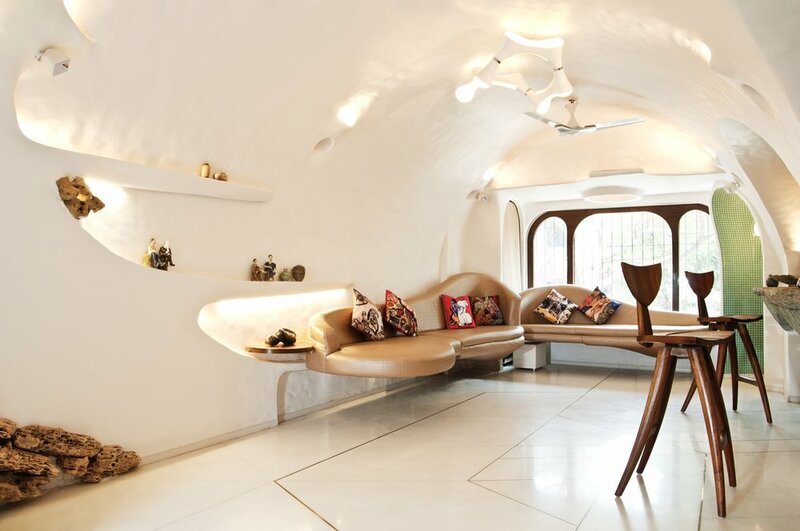 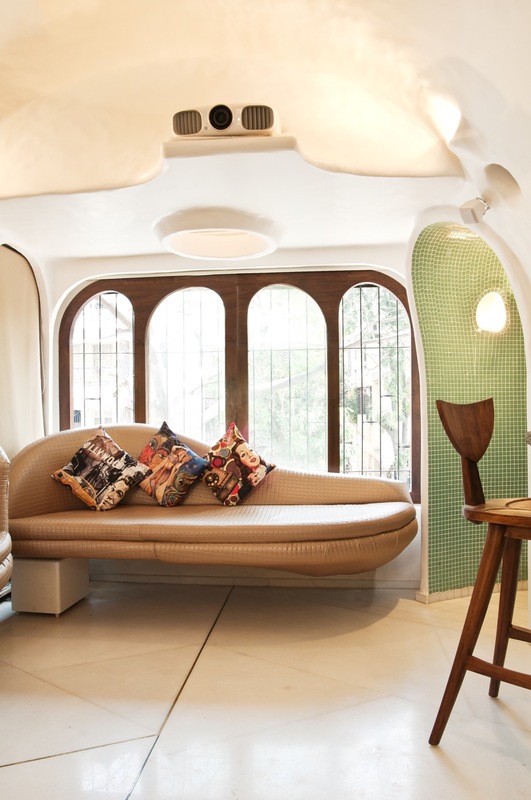 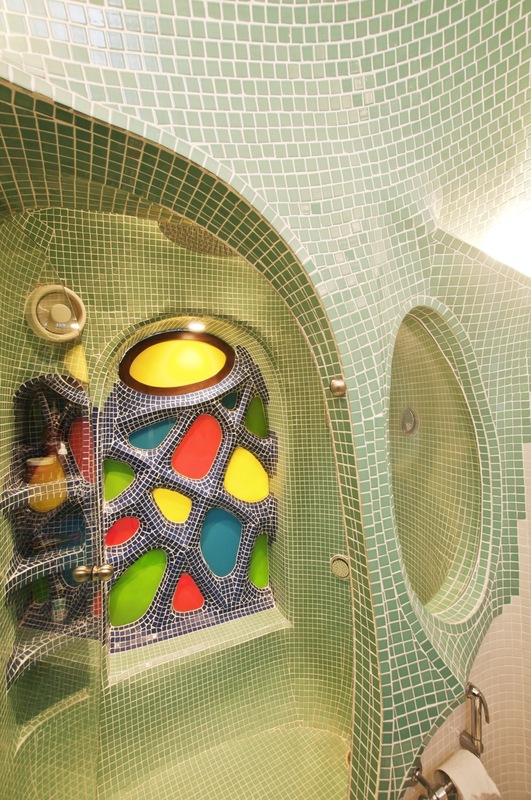 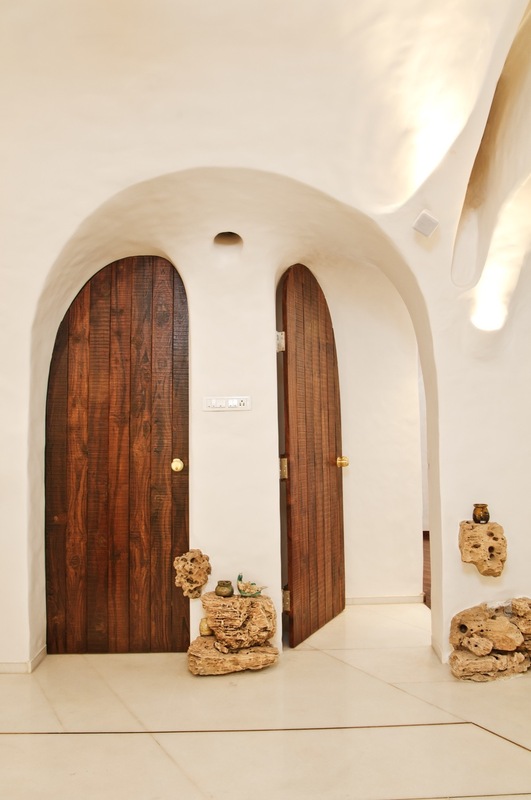 This studio apartment is designed for a young couple and is a composition of twin long vaults. 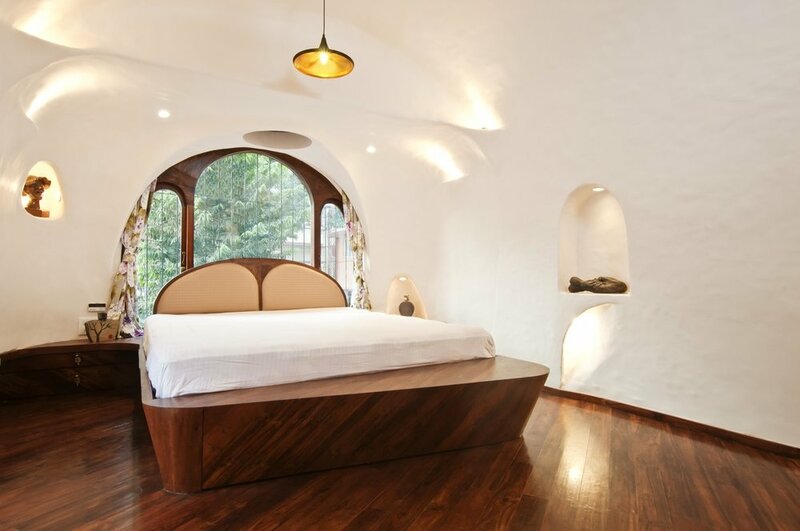 One housing the living space and the other the master suite. 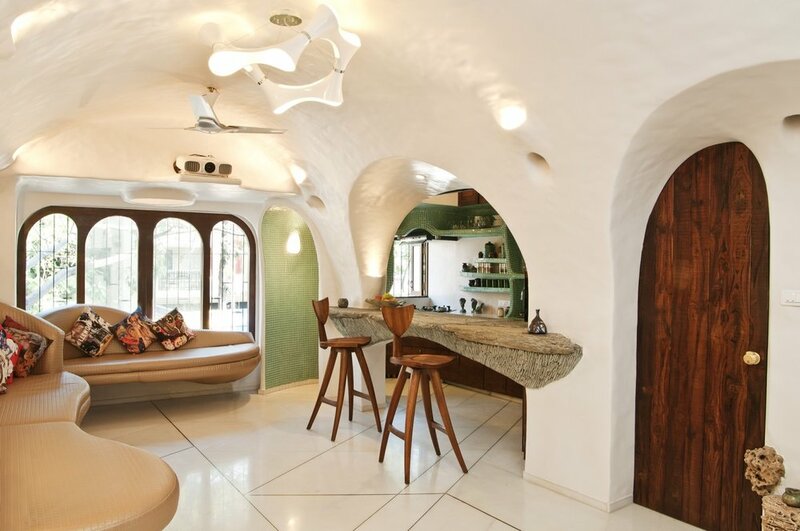 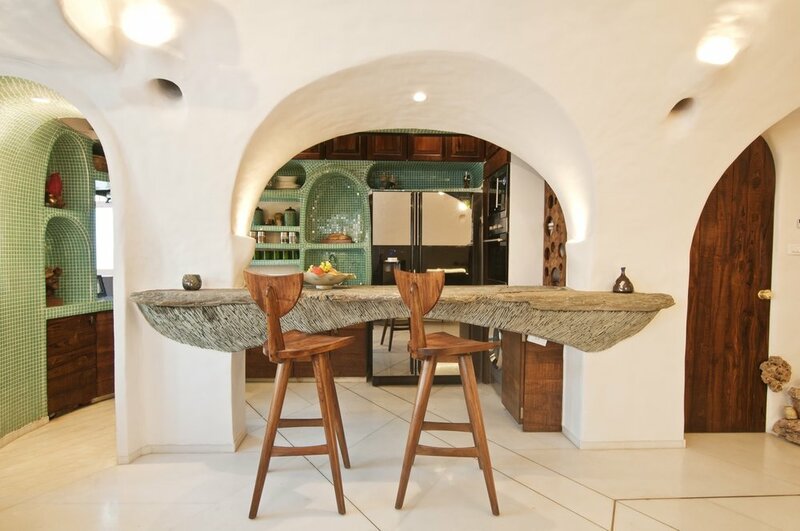 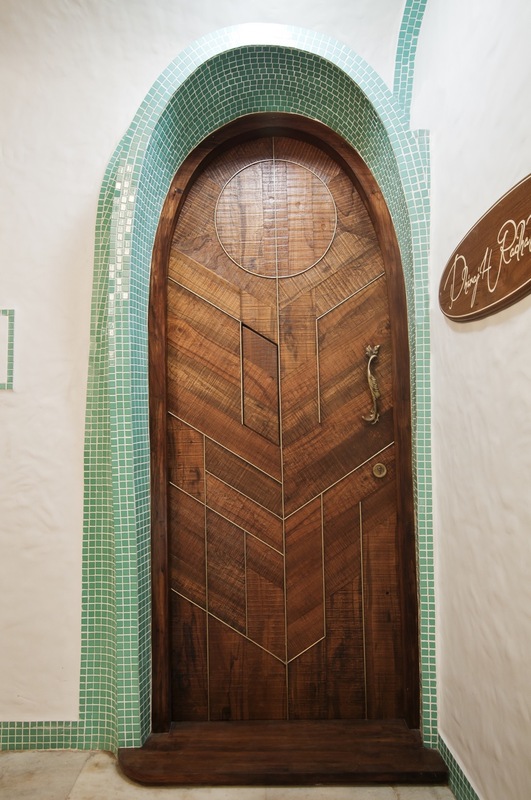 These spaces are connected to each other through smaller vaults and arched openings carving out spaces for kitchen, wardrobe and bathrooms. 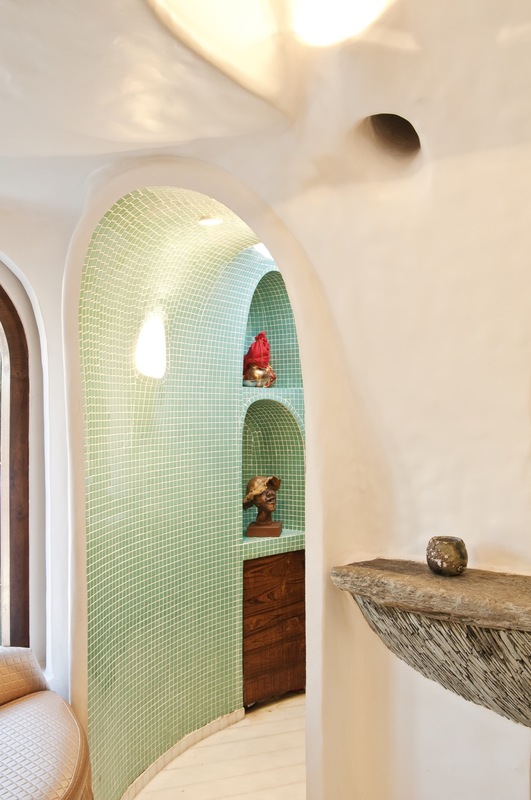 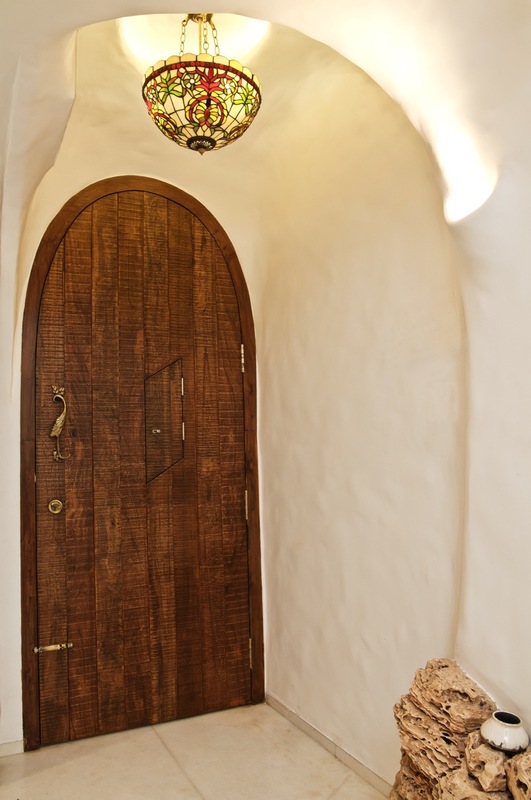 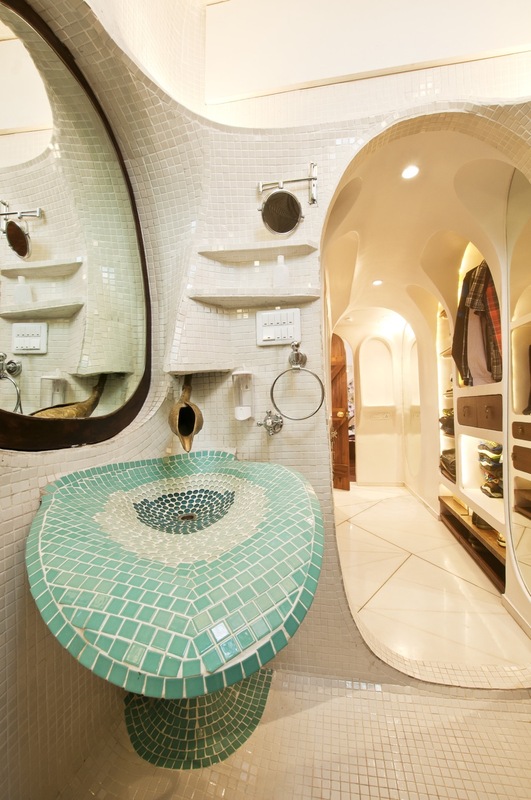 The spaces flow seamlessly into each other, creating an integrated whole and giving the feel of a sculpted greek cavern.